I DO NOT KNOW WHY NO ONE CAN POST COMMENTS ON THIS MOD. I HAVE EMAILED AND LODGED REPORTS TO ADMIN ON NUMEROUS OCCASSIONS. - A new chassis being the renowned "Spike" Chassis. - Updated physics that should make for closer and safer racing. USAC fans out there wanting to race midgets on tarmac circuits. PLEASE MAKE SURE YOU REMOVE THE ORIGINAL MIDGET (V1.0) PRIOR TO INSTALLING VERSION 2.0. IF YOU HAVE NOT INSTALLED MIDGETS BEFORE THEN SIMPLY INSTALL V2.0 ONLY. 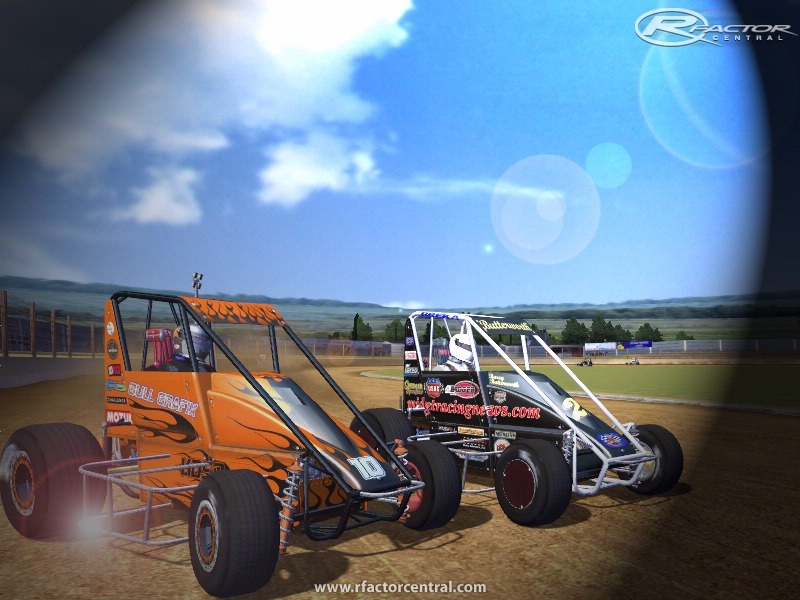 Kiwi Dirt Sim Racing ("KDSR") proudly presents "International Midgets". Midget cars have been around since the 1930s. Originating on Americas West Coast and spreading fast through the country and soon as far a field as New Zealand and Australia. They proved to be an entertaining distraction from the hard times of the Great Depression where large crowds would attend their local dirt track to watch these four cylinder engine cars throw dirt and clay skyward. With most of the home built chassis having humble beginnings in barns and sheds across the globe in the 1930s, today’s Midgets have developed into what would barley be recognizable as the same class of car by those first pioneer ,leather capped, goggle wearing, dare devil drivers of yester year. Although through any and all the great eras of midget racing one common theme runs through them all, close, competitive, side by side and slide by slide action. 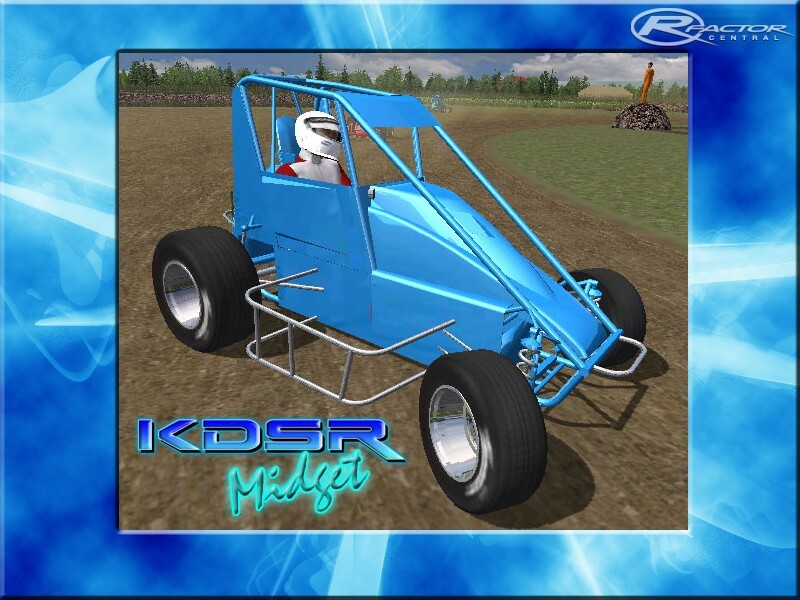 KDSR Chief modder "Major Catastrophe" brings to you a very accurate 3D model of the New Zealand manufactured "Breka" Midget chassis. 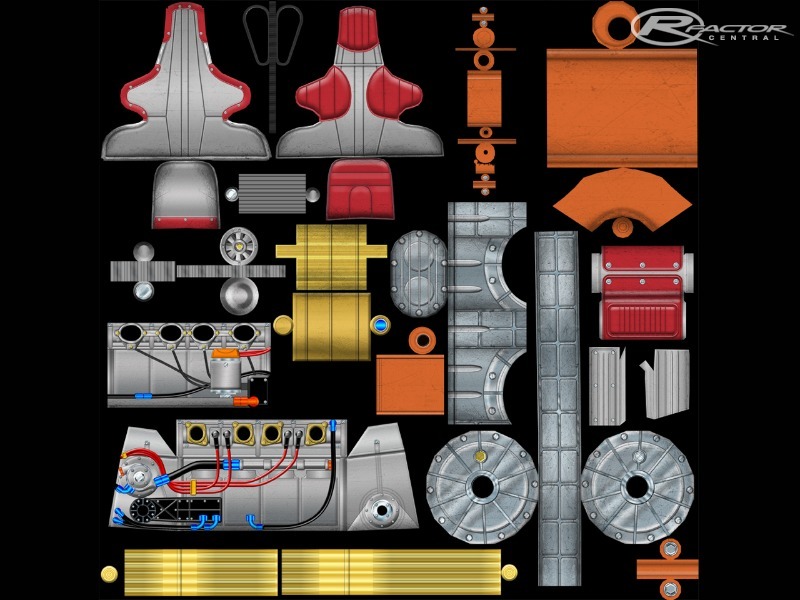 The mod team which was primarily made up of Major_Catastrophe, Daza, and Wingy, researched all aspects of the modern Midget car design, specificiations, performance (shocks, engine, stagger, tyres), and put in as much real life data into the rFactor Midget as was possible at the time. Major and Wingy visited the Breka Factory which is based in Auckland, New Zealand, to access their real life data. 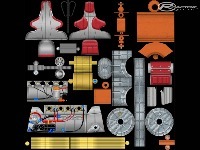 The Breka Factory has now been sold to another Auckland midget factory called "Aggressor Chassis" and Major and Wingy are booked to visit the Aggressor team as well to gain more real life data. 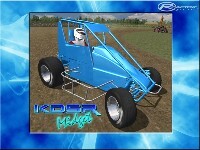 They are also going to get the midget tested by the Aggressor teams real life drivers for some feedback and ideas. Daza of "Daza Designs" based in Christchurch, New Zealand, has made a fantastic job of the template and all the Midgets in game graphics. Major plans to make a patch to fix the AI in the near future. The midget will not work on all the fantastic dirt tracks out there but there should be no shortage of suitable tracks for the Midgets. 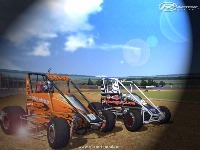 All of Freew67, NZDT, DSCI, & 2 tracks from Bozracing.com work well and were the tracks we beta tested the midget's physics on. 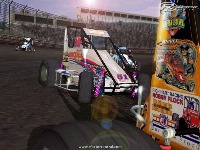 The 2 best tracks we've found so far are Bozracing.com's Silver Dollar Speedway and Husets Speedway. To all the Dirt communities out there, if you wish to host the midget file on your website please pm Rikstr @ www.kiwidirt.com (KDSR's website) and Rikstr will advise the conditions of hosting the midget on your own website for your community. 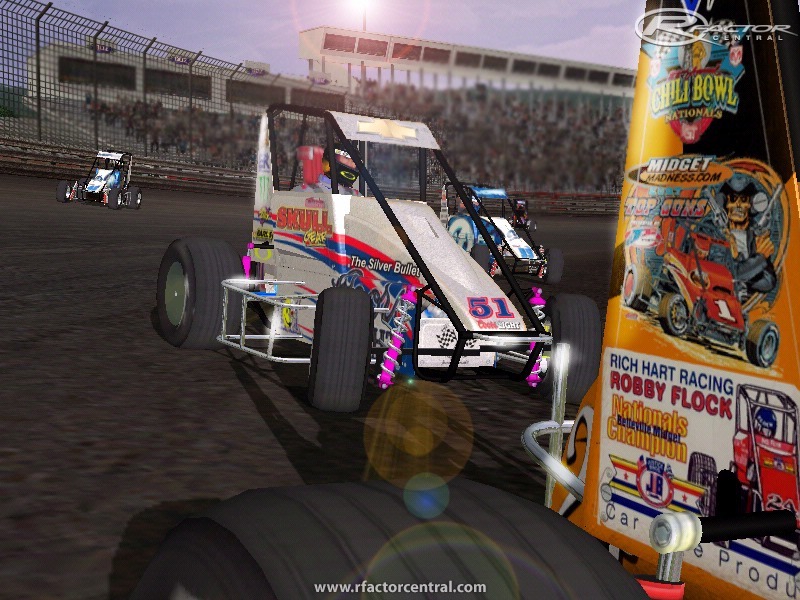 Rikstr would like to see the midget hosted on all the dirt sites out there but with 2 conditions.